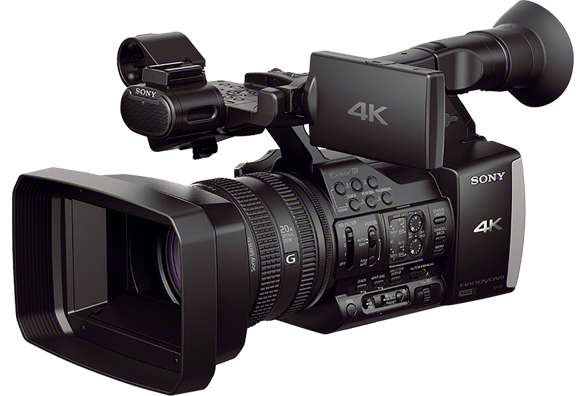 Sony announced its fist consumer level 4K camcorder Ultra-HD FDR-AX100 Handycam in this year's CES at $2,000. This is indeed an aggressive push from Sony to make a head start in the 4K race at consumer level. 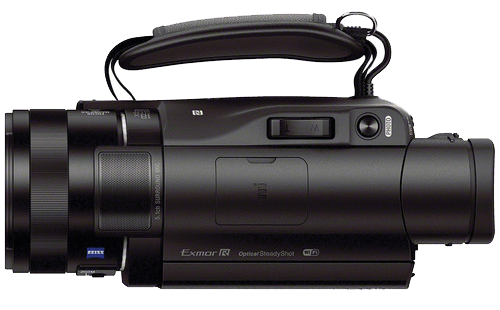 Apart from the price, there are few things that are very interesting about this camcorder. 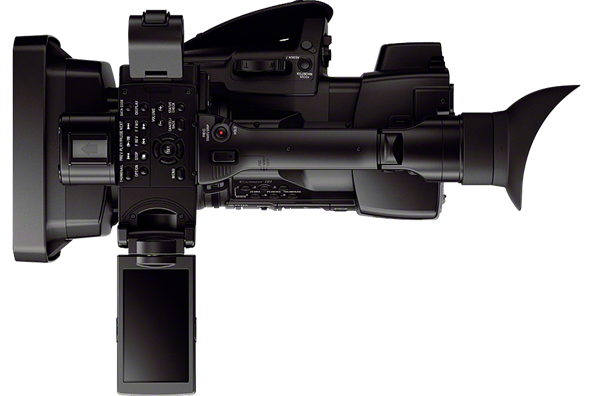 The sensor used is a 1" Exmor R CMOS sensor which is around 8x larger than the typical camcorders. This is important for many reasons and one of them could be that the current DSLR generation has got used to in taking advantage of larger sensors. They love beautiful shallow depth of field, beautiful bokeh and other creative choices offered by the larger sensor. The lens used in this camera is also interesting. Sony used Zeiss Vario Sonnar T* lens with 12x optical zoom plus 24x digital zoom. The focal length of this lens is 29 to 348mm. The aperture is 2.8 to 4.5. 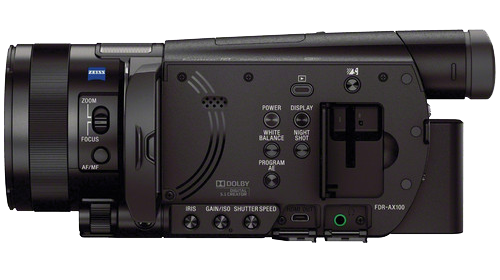 Sony said that the camcorder boasts with Optical SteadyShot image stabilization with Active Mode which delivers smooth video. A 3-Way-Shake-Canceling is also there which adds electronic roll stability for even smoother results. It lets you capture 4K 3840x2160 video at 24 and 30 fps. You can also record in 1920x1080. 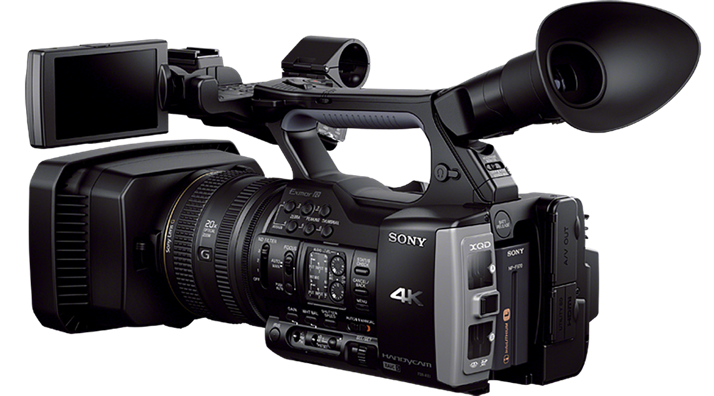 The recording codec used are XAVC S for 4K and AVCHD for normal HD video. It has a 3.5" XtraFine LCD touchscreen and a high-contrast 0.39" OLED EVF. 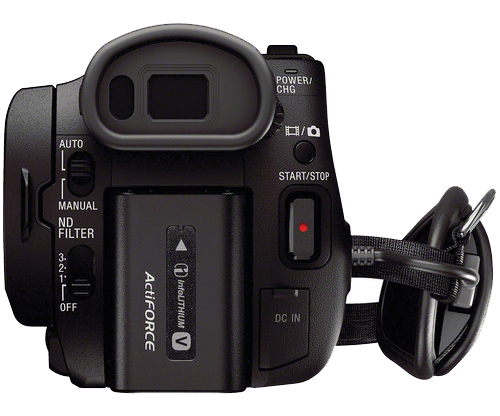 Among other notable features, the camcorder has a USB 2.0 port, Micro HDMI output, and a Composite Video output. 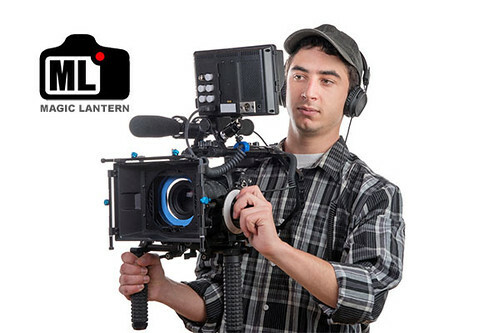 The composite video output is important for professional use. There are also Built-in Wi-Fi and NFC support that lets you use your smartphone or tablet to control the camera, as well as wirelessly transfer files to your mobile devices and your computer. 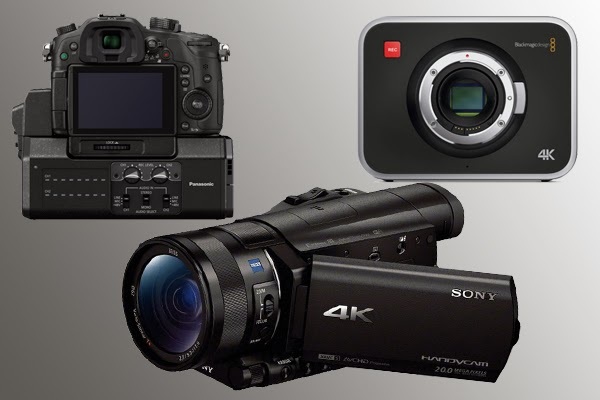 These are all looks good for a 4K camcorder at $2,000 price point. However, the question is whether these specs will satisfy the growing indie makers or videographers? 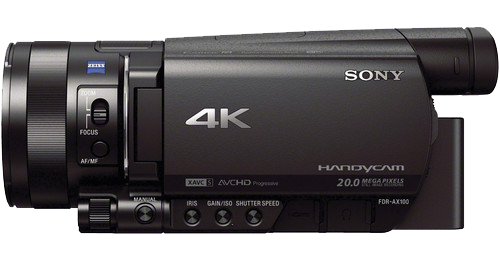 Sony introduced FDR - AX1 4K Professional Handycam in September 2013 for the prosumer market at $4,498 price point. 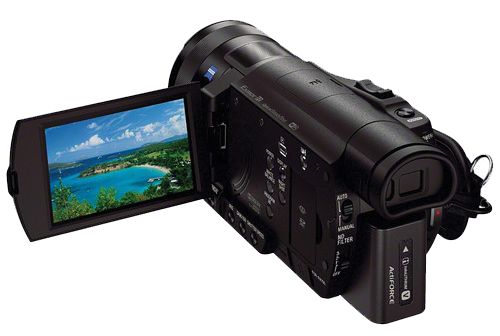 The camcorder has a 1/2.3" Back-Illuminated 8.3MP Exmor R CMOS Image Sensor that produces 4K 3840 x 2160p Video at 60 fps. 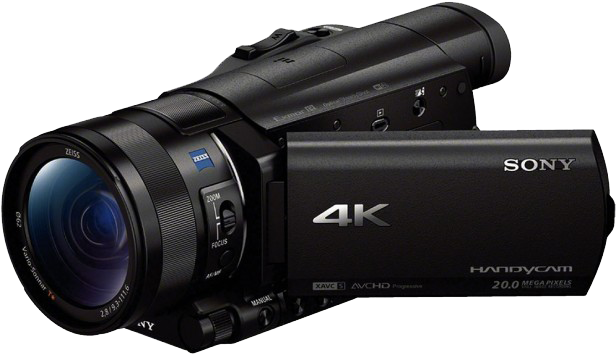 It uses XAVC-S format for the 4K recording and is able to record up to 150 Mbps. The FDR-AX1 features two XQD media card slots. Recorded video can be transferred to PC from the camera itself or by using an optional XQD reader/writer with a USB 3.0 connection. B&H made a good review of FDR - AX1. Why 2013 would be an exciting year for the filmmakers? Good Night Gloria: finally the trailer of the feature is out!